It is estimated that over 10 million accidents causing personal injury occur in Britain every year and over two million of those are caused by the negligence of another person. The law entitles those who have been the victim of an accident caused by someone else's negligence to make a compensation claim for personal injury and loss. Our accident claim solicitors will fully investigate your case to determine if someone else was negligent and will negotiate the best possible outcome for damages based on the extent of your injury and financial loss to ensure that you get a fair deal. Our lawyers offer legal advice without charge and legal expertise that is second to none. We are members of the Solicitors Regulation Authority panel of personal injury experts. Our accident claim solicitors operate the no win no fee scheme otherwise known as a conditional fee agreement. No charge is payable unless the legal case is won with an award of compensation and that charge is usually paid by the third party insurers. In the event that the legal claim is lost there is no legal charge made to the client and we will write off our bill of costs. We will also make sure you are protected against the costs of the other side in the unlikely event that your Court case does not win. Claims for personal injury compensation are made in accident cases where the victim was either not responsible at all or was only partially responsible for causing the accident. Even if you were partly to blame, accident compensation solicitors can still take legal action. In the event that you were partially to blame for the incident that caused injury, the award of damages will be reduced by the percentage of blame attributed to your actions that contributed to the cause of the accident. Most claims need to be made within three years of the event but in some circumstances, such as when a minor is injured, the three year period will not start to run until the age of 18. There are certain other exceptions. It is important that accident claim solicitors review your circumstances as soon as possible after the incident that caused the injury. The longer it has been, the harder it can be to obtain detailed witness statements - memories do fade with time so you should contact us as soon as possible. Until you start the claim process and speak to one of our accident claim solicitors it is not possible to say how much compensation you could receive. Our lawyers need to assess the extent of any pain and suffering for personal injury including ongoing symptoms and long-term disabilities and to assess financial losses to date and anticipated for the future. Our lawyers act only for claimants, never for insurers and if you instruct us act on your behalf we will zealously protect your legal right to receive the compensation that you deserve. Damages awarded for successful personal injury compensation claims vary widely. There are two types of damages a claimant can receive known as special damages and general damages. 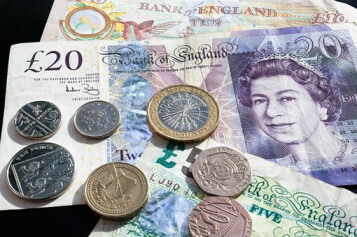 Special damages are compensation for losses that can be valued in terms of money, such as the costs of having your vehicle repaired or the loss of past wages. Special damages can be calculated with a degree of accuracy. Special damages alone are often not sufficient to compensate the victim fully for their losses. For instance, a car accident may leave you physically disabled, which could affect your ability to enjoy life and leisure time. General damages are awarded to compensate victims for losses that cannot easily be assigned a monetary value such as pain and suffering. General damages cannot be calculated accurately and must be assessed by a Judge based on previous case law, government guidelines and the Judges own personal experience as a lawyer following representations made by advocates for both claimant and defendant. Accident compensation claim awards are split into two main areas - 'General Damages' and 'Special Damages'. The main item of general damages relates to the pain and suffering caused by personal injury. To determine the amount of the award our accident claim solicitors will arrange for you to be examined by a medical consultant (at no cost to you). When applicable, an award for being disadvantaged in the employment market or having to change your lifestyle can also be made. Judges are assisted in determining what level of damages applies by the JSB (Judicial Studies Board) Guidelines and review of previous awards in similar cases. Our solicitors also have access to the JSB Guidelines. In order to claim compensation for personal injury and loss following an accident it is usually necessary for a personal injury solicitor to prove negligence although there are certain circumstances, particularly involving some accidents that occur at work, where it is not necessary to prove negligence because an employer may be absolutely liable for the consequences of certain failures. Negligence exists where there is a duty of care, together with a failure to take reasonable care for the safety of another person. In order to claim damages it is also necessary to show that any losses sustained are reasonably foreseeable and are as a direct result of the accident. Questions of whether or not there has been negligence are best left to personal injury lawyers and our accident claim solicitors will give detailed advice at no cost as to your chances of success and the potential value of any claim. Vehicle collisions cause more injuries than all other types of accident put together. Every day there are at least 7 people killed on UK roads and thousands of collisions result in attendances at hospital A&E or GP surgeries for hundreds of people. Most collisions are caused by negligence, in that the majority of cases involve the driver of a motor vehicle failing to take care for the safety of other road users. In addition, road traffic accidents may be caused by other factors such as poor maintenance of roads and inadequately serviced vehicles. Slipping and tripping accidents causing personal injury, in public or private places, often result in successful damages claims. In general terms, an owner or occupier or a local authority or highway authority must take reasonable care for the safety of people who use property or land, for which they have responsibility. If they fail to adequately maintain the property, resulting in personal injury, they may be held liable to pay compensation. 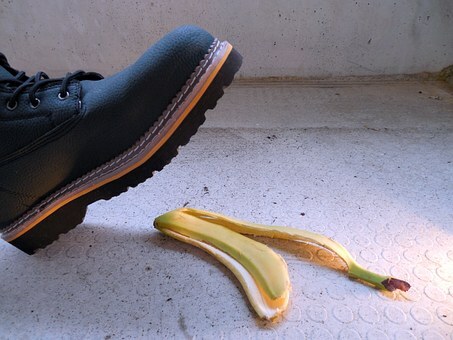 Tripping and slipping law can be complex as there exist 'statutory defences' and advice should always be sought from accident compensation solicitors regarding personal injury caused by trips, slips and falls. are becoming less frequent, due to stricter safety standards being enforced. There are now numerous statutes in force to protect employees, however some employers neglect their responsibilities, which may result in tragic consequences. In many cases it is not necessary to prove negligence due to the doctrine of 'strict liability' whereby if an employee is injured; it is very difficult for an employer to escape his liability to pay damages. Sometimes personal injury occurs in the workplace because a fellow employee has acted negligently, for example by spilling water or oil, causing another employee to slip and fall. In these cases accident compensation solicitors can claim damages from the employers who are vicariously liable for the actions of a negligent employee. It is important to personally log all injuries in the accident book at work, immediately after they happen. If a compensation claim is instigated by accident compensation solicitors, the accident book is used as a primary source of evidence, to support allegations of negligence against the employer. If you have been involved in an accident and would like legal advice at no cost with no further obligation from an accident claim solicitor, just use the helpline or email our offices. Our risk free accident compensation claims are dealt with on a no win no fee basis. If you have been injured in an accident that wasn't entirely your fault, within the last three years, you should contact us. Our personal injury solicitors have a client centred approach and will ensure that you receive justice by providing committed and vigorous legal representation. Your case will be dealt with in a comprehensive, sympathetic and professional manner and we will leave no stone unturned in our quest to obtain an award of fair and adequate damages. Our solicitors will respect your confidentiality at all times and you will receive a complete professional service from lawyers who specialise in claiming accident compensation for personal injury caused by third party negligence. Our personal injury solicitors handle all types of accident compensation claims including vehicle collisions, trips and slips in private or public places and incidents at work. 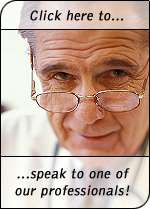 Our solicitrs settle a wide range of cases varying from minor whiplash to spinal injury, brain damage and fatalities. Take a detailed statement about any personal injury and it effects. Our lawyers deal directly with you by email, telephone and post. You do not need to visit or make any appointments in our offices. Each claim is progressed either directly against the negligent third party or with their insurers. Where possible an admission of liability is obtained at an early stage to facilitate early settlement. The claim will usually be settled without recourse to formal legal proceedings in a court of law. Where liability is denied or damages are disputed, proceedings will be issued in court. Our accident claim solicitors have been helping people for many years as a result of which our procedures are extremely efficient. Just complete and send the form or e-mail our offices or telephone us on our solicitors helpline and you will speak to an expert lawyer all of whom have a great track record in securing compensation in a quick and easy fashion. Hate filling out forms. No problem at all. Just telephone us and we will process the claim for you over the phone without any delay. Compulsory negligence insurance. Solicitors must have professional insurance, which covers cases where solicitors are negligent. Solicitors must also contribute to the Compensation Fund which ensures that if a solicitor is dishonest the public will not suffer financially. Clients' money must be kept in a separate account.